We have told that this year 2016 has been declared as “Year of legumes” by FAO (the Food and Agriculture Organization) and from this organization is trying to raise awareness of the benefits of the same for our health, and to encourage consumption. This promotion campaign vegetables that you can see full on its website contains several interesting through which we can make these foods much better, basic to an omnivorous diet and more to a vegetarian diet, which should represent the majority of the total protein intake. Very interesting is the section “why legumes are underrated?”, And it is a good idea to dwell on the reasons not to consume some maintain legumes normally. It takes too long to cook: in this case the solution is simple and happens to use a pressure cooker. In pressure cooker lentils or chickpeas should not take more than 25 minutes (pulling from the top) to be ready; much less if it is also a pot labeled as “fast”. In any case, at a time like the present in which you are claiming the slow cooking, this is meaningless. They are considered “food poor”: perhaps considered themselves well in the past, when meat and fish had a high price and legumes were the usual dish in most homes. At present prices have normalized and also not understood as excluding food but can appear on the same plate. Cause flatulence: this is true, and is due to its content of certain oligosaccharides. But it is something that is easily solved: just have to soak the beans the day before to avoid this unpleasant effect. They contain anti – nutrients: it is also true, as natural vegetables contain these compounds that hinder the absorption of minerals. But this has the same simple solution above: leave vegetables to soak for a few hours, and also according to the FAO, we can add the water a tablespoon of baking soda to reduce the presence of anti – nutrients. 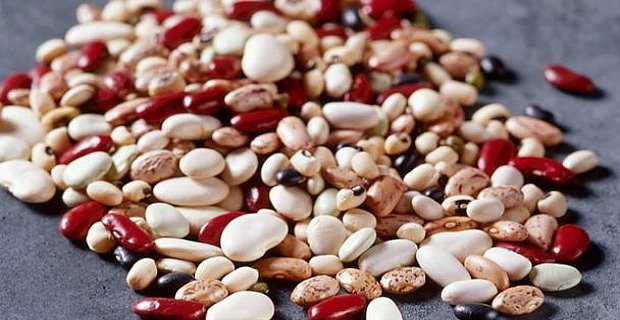 We encourage you to make a place in your diet legumes: have complete proteins, are a good source of energy, they are tasty and help us lead a healthy and balanced diet.